Contemporary artist Samira Yamin debuts her solo exhibition, We Will Not Fail, in SMMoA's Project Room 2. 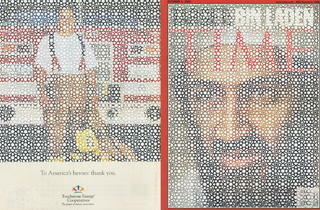 The multi-dimensional body of work contemplates the October 1, 2001 issue of Time magazine through the juxtaposition of ornamental beauty and Middle Eastern subjects. 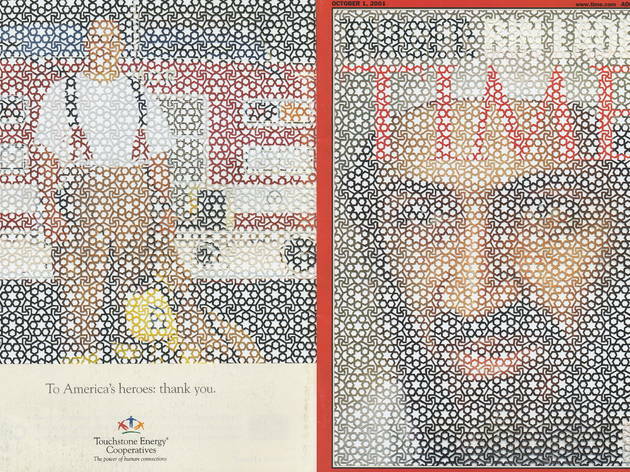 By interweaving meticulously hand-cut Islamic geometric patterns into media photographs of the War on Terror, Yamin encourages a multi-faceted conversation about the validity of journalistic images and the relationship between the sacred and profane. The opening reception on January 18 is open to the public from 7pm to 9pm.